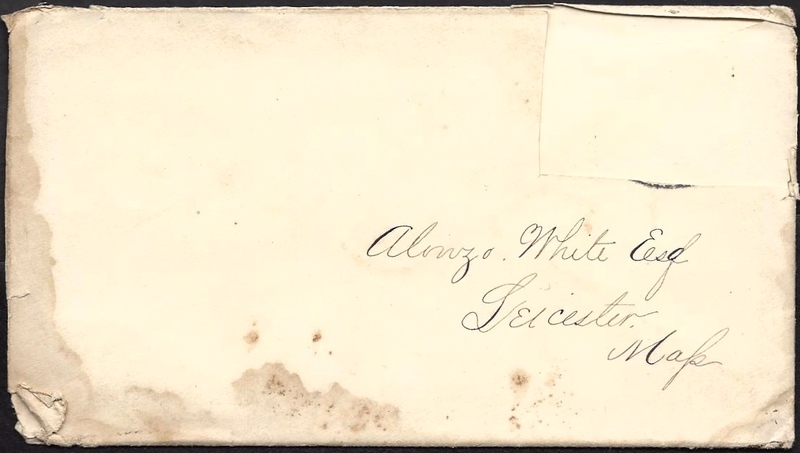 This letter was written by Henry Arthur White (1841-1922), the son of Alonzo White (1808-1893) and Elizabeth Lincoln Davis (1812-1898) of Leicester, Worcester County, Massachusetts. Arthur’s siblings included Eleanor Cutting White (1838-1862), Mandana Elizabeth White (1844-1933), Catherine Emily White (b. 1847-1850), and Clarence Alonzo White (b. 1851). Arthur enlisted as a private on 23 September 1861 in Company H, 25th Massachusetts. He was promoted to corporal on 1 March 1862 and was mustered out of the service on 20 October 1864 as a sergeant. He gave “Card Manufacturer” as his occupation when he enlisted. In April 1864 the regiment was attached to 18th Army Corps in Virginia, and suffered significant casualties at Arrowfield Church and Drewry’s Bluff in the Bermuda Hundred campaign. Military records indicate that Arthur was one of the wounded at Drewry’s Bluff (also known as the Battle of Proctor’s Creek) on 16 May 1864. I have changed my “base of operations” as you see by the heading of this letter. One week ago today I attended church in Plymouth [North Carolina] with ___ and at noon we received orders to turn out in the P. M. for a flag raising on “Fort Williams” — the fort we have built there. I thought that they were not taking a very appropriate day for a military parade but you know a soldier’s duty is to obey, and after all the troops at the post — viz: the 25th & 46th Mass. Regiments, 2 companies of the 27th, & 1 company of the 5 Mass. with [Capt. 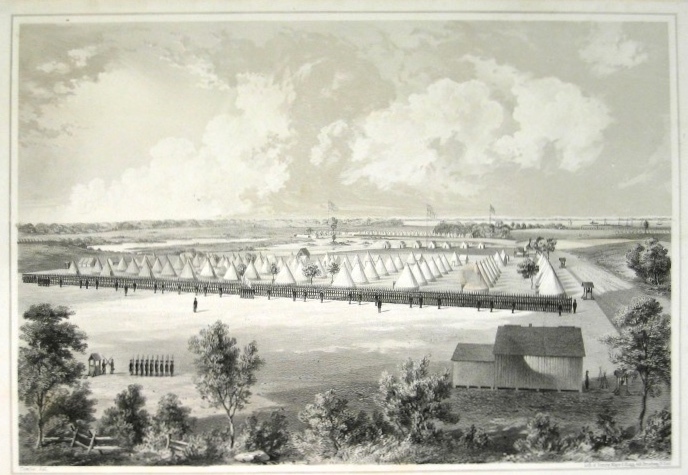 Jay E.] Lee’s 24th New York Battery, had witnessed the raising of the flag and had saluted it, we marched to our parade where the 25th stacked arms and were ordered to strike tents and pack baggage for a move. 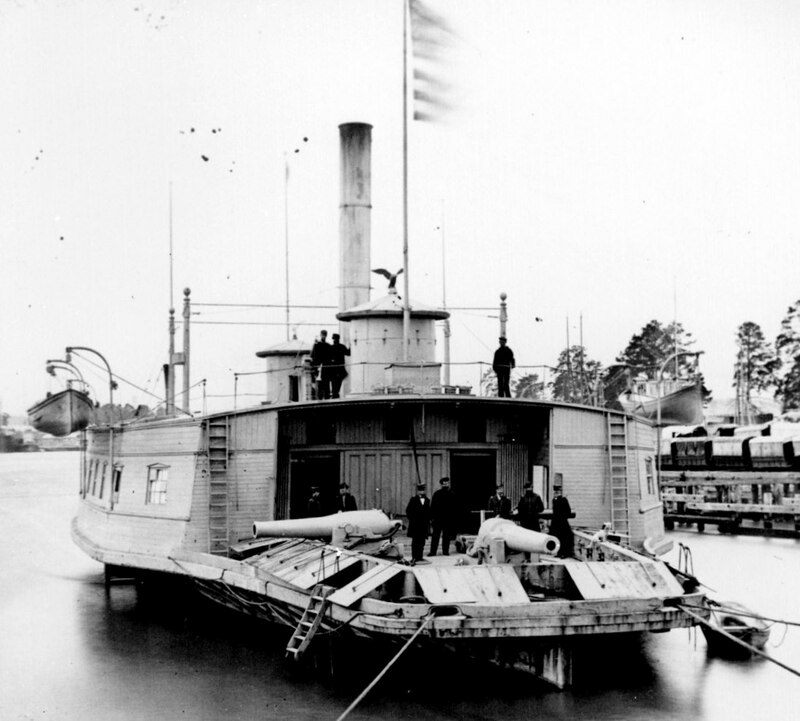 The 85th New York and the 103rd Pennsylvania had arrived from Newbern and we were to take the boats they came on and report ourselves at Newbern. About dusk 7 companies of the 25th on the “Thomas Collier” and 3 companies of the 25th & 1 company of the 5th on the “Emily” left the wharf and started for Newbern, the sailors on the different gunboats cheering us on as we passed them, while the “Commodore Perry” — the flagship of the squadron paid us the compliment of burning colored lights and rockets which in the gathering darkness looked splendid. We arrived at Newbern at dusk the next day and went into barracks for the night. I stopped with Braman & George that night and the next day we pitched our tents on old “Camp Oliver.” Since we have been here we have been paid off. Received four months pay ($52) which enabled us to settle outstanding bills and have some left. I have been very busy making out furlough papers and other company papers which has occupied all my time for I have to do nearly all the company writing and a large amount comes at once just at present as the captain is going home on a furlough and there must be about as much business to be settled up before he leaves. He will call upon you at Leicester, I expect, but he may not find time to. Camp Oliver at New Bern, N.C.
Our regiment is allowed 3 furloughs to a company and they have been made our for Sergeant [Willard] Cheney and Privates George W. Stone of Oakham and Joseph Johnson. The papers have not been given out yet but I expect they will be before the next boat goes. Sergeant Cheney belongs at Worcester and may call on you while he is at home. The furloughs are given for twenty days. I of course have no chance for one while the other boys who have not been home remain to go — nor do I expect Albert Hurd will be able to get one until all the old soldiers have had a chance. I wish Braman and George could go home but I don’t know how it will be. I shall not send home much money this time as my old friend and tent mate Sergeant John D. Mirick ¹ has been promoted to be 2d Lieutenant in the 1st Regt. Wild’s African Brigade to report to Newbern and I wish to let him have all I can spare as he is to get his outfit here. He has not been discharged from the regiment yet but he has received a letter from General [Edward A.] Wild informing him of his appointment. I shall send you either in this letter or by Sergeant Cheney ($6.00) six dollars, two dollars and forty cents of which I wish you to pay to Mrs. Hatch, it being the proceeds of the cartridges which George Kent ² left and which I sold in Newbern as high as I could sell them. The rest of the money I wish you would use in making [brother] Clarence a birthday present. If he has not a knife, perhaps a good one would please him and then a good story book would be first rate. Please inform Mrs. Hatch with reference to getting George’s pay that was due him when he died, that it cannot be got here but will have to be settled at Washington. All his accounts have been sent to Washington as is every deceased soldiers at the time he dies. I understand that Mr. Julius [E.] Tucker ³ at the Palladium Office at Worcester makes it a business to tend to such matters and he will be likely to know all about what ought to be done, and if it is required to have anyone certify to any documents, Lt. N[athaniel] H. Foster would be just the man as he had command of the company at the time of his decease. I have been troubled with the chills lately. I am very sorry to have them come on again but it was no more than was to be expected. I had one day before yesterday and yesterday so take it all round, I have been unable to write to my friends until today and today I feel rather weak but it is only the effect of the chills which I have taken medicine to throw off. I shall keep them off as much as possible. I will enclose in this letter a letter to [sister] Mandana. Give my respects to all enquiring friends, and much love to the dear friends at home. ¹ Sgt. John D. Mirick of Company H, 25th Massachusetts, received a commission as 2Lt in the 2nd North Carolina Colored Troops on 25 May 1863. ² Pvt. George Kent of Company H, 25th Massachusetts, was wounded in the Battle of Roanoke Island on 8 February 1862. He died of disease on 10 October 1862 at New Bern, N. C.
³ The Massachusetts Spy (Newspaper) of 10 October 1873 printed an obituary notice for Julius E. Tucker who died in Worcester “last Monday at the age of 62 tears and 5 months. Mr Tucker was born in the town of Charlton where he was several years one of the leading and most influential citizens, holding at different times several of the most important town offices. In April 1857, he removed to this city, and assumed the position of manager of the Worcester Palladium in January 1858. As a citizen, he was universally esteemed, and his many friends and acquaintances will learn with deep regret of his death. His death resulted from consumption from which he has suffered a great deal during the past six weeks.” He was married in 1854 to Margaret S. Merritt. Pingback: The Letters of George W. Scott, Co. I, 46th Massachusetts | Hunting rebels as a dog would a fox….